We are an IT solutions company and can offer a top level of service and expertise for all your IT requirements. 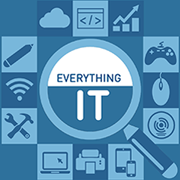 From hosted solutions and hosted exchange in our secure data centre to full onsite business installation, ongoing support and much, much more; we really do cover 'everything IT'. We also provide maintenance contracts to ensure that your business is in safe hands with specific SLAs (Service Level Agreements) to keep you working. We offer repair services, downgrade rights, data recovery and remote and telephone support when you have a question or issue. All of our engineers are Microsoft Accredited and work hard to achieve and maintain these qualifications. We are only a phone call away.